The American poet and historian Abba Gould Woolson once wrote that, ‘since all this loveliness cannot be Heaven, I know in my heart it is June’. You can’t help wondering how she might have felt in a churchyard this month, where the occupants are theologically, metaphorically and ecologically in both kinds of Paradise at once; a garden of early summer, earthly delights where the veil between the worlds – as on St John’s Eve, later in the month – is tantalisingly thin. The Litten, or God’s Acre – and it averages out at around an acre for each of Britain’s 23,000 or so churchyards – is evidently not just a quiet place for the dearly departed, but a grassland habitat full of life. Yellow meadow ants build their nests among the gravestones, bees and butterflies appreciate the wildflowers as do moths like the beautiful five-spot burnet and birds sing from the yew and holly trees. They are here because the churchyard has a kind of permanence and has typically been managed with a light touch for hundreds of years since its foundation. Often the history of the plot is deeper; a few ancient graveyard yews even pre-date Christianity in Britain. 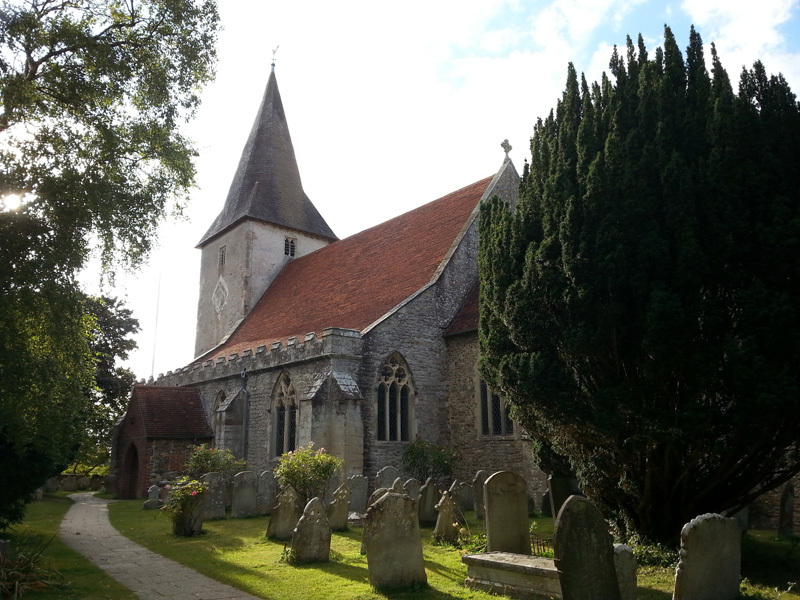 Our reverence for churchyards has helped in their conservation, but that’s not to say that they haven’t changed over the years or been subject to the same whims that have informed the spires, battlements, porches, architectural noodlings and decoration on the churches themselves. The foundation of a Christian place of worship in the first place was the most profound of these changes and may have taken place on already sacred ground – a round churchyard may indicate a pagan site, as would large sarsens in the stonework or menhirs close by. Churchyards were often a lot less peaceful in the past; records exist of Saxon ‘moots’ or parliaments convened and markets held and – as seen in the south porch of St Leonard’s in Thorpe, Derbyshire – you might find 14th century notches in the stonework where archers sharpened their arrows for target practise after Sunday service. There might even have been the flurry of pagan Morris dancers, some wrestling or cockfighting going on and the ‘church ale’ a kind of early beer festival in aid of the parish vestry. Where God’s Acre now appears larger than an acre, the original churchyard can sometimes be traced by a subtle rise in ground level or by searching for the oldest headstones – until the 1700s they were inscribed on their ‘backs’ – to determine the extent. The churchyard would normally, though not always, have less space on the north side, where the ne’er-do-wells and criminals were buried, forever resting in shadow, even on a bright June day.